The Warhammer is a staple IS heavy. It has adequate durability and agility, plenty of hardpoints which are generally torso-mounted for safe-keeping, adequately high mounts, and the chassis boasts a wide variety of builds representing all engagement ranges. Hitboxes are adequate for spreading damage and the arms can shield quite well, so torso twisting is effective. 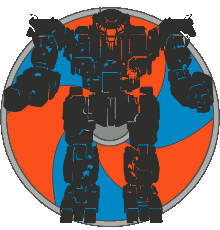 The -6R is one of the more potent and flexible mechs on the Innersphere side. Somewhat like a budget-oriented Black Widow, it can run ballistic builds, but lacks hardpoints to boat dakka adequately. Instead, it has more energy flexibility. Respectable DPS and decent speed makes this a very reliable and much more versatile alternative to the LB40 build, but it is simply not as potent. As any slow brawler, this is challenging to play. But if you can get it into effective range, the infinitely sustainable 40-damage punch means that it will crush almost anything, even well above its weightclass. Optimal firepower for an IS heavy, all tightly and safely packed into torsos with decent mounts, mobility, and durability - what more could you ask for? Before UAC10s were introduced to the game, this build ran UAC5s, but these days you go big or go home. Compared to Clan gaussvomit builds, this is slightly less damage, and runs slower. But it is good deal more durable, making it a staple IS build that works for pretty much all situations. In order to compete with the high-alpha meta, you must run XL on this build. But it is worth it - this is one of the best builds in the game. You are outputting similar or superior firepower to Clan heavies, but with shorter duration lasers. Kill things before they kill you. The WHM-6D is consistently one of the strongest IS energy boats. It is similar to a ground-bound Grasshopper, and can fill a wide variety of roles. Being a staple IS chassis, this is an obvious pick if you are looking for an ERLL boat. It may not be the best option outright, but loadout and decent hardpoint locations make it competitive. This is essentially the general purpose Warhammer. If you must have only one Warhammer, then this build will be viable in the most situations. There is really no point in running XL on energy loadouts unless you do exactly this: Maximum possible pinpoint alpha. It's slow and rather range-limited, but with the quick burn duration it will simply delete things on request. The -7S has always been somewhat of an afterthought among Warhammers. You can actually run this as a laser boat in a pinch, but those builds are better suited to the -6D. This variant brings missiles, but with only three hardpoints you don't have many options. MRMs are reasonably viable, but they add large missile pods to the top of the mech, making the side-torsos easy to target and weakening the effectiveness of the mech. The available hardpoints aren't well-suited to SRMs, so stick to MRM builds on this variant. MRM80 offers a large enough volume of fire that it doesn't need to be supplemented with lasers, so it is simple to play. Unusual hardpoint placement and count makes this the most difficult variant to use. Some Stealth and ECM builds are possible, but with most of the hardpoints in the low arm mounts, the -4L compromises the Warhammer's normally adequate peeking profile. This is an ECM alternative to other HPPC mechs such as the Grasshopper, but with no jumpjets, and lower mounts. PPC-specific quirks is what makes this worth playing. It's forced to run left-sided mounts, so take advantage by corner peeking wherever possible, but be wary of your XL. Do fire alphas liberally - the build has plenty of cooling. With the -4L being strictly inferior for energy loadouts, you aren't left with many options. It is weak at trading, so you may need to play it more as a sneaky pushing style mech. The Black Widow hero is one of the strongest Innersphere heavies. It is one of few that can properly boat ballistics, which makes it a must-buy for fans of dakka. Alternatives are the JM6-DD and CTF-4X, which each have pretty glaring disadvantages by comparison. Same build as the WHM-6R, only with a C-Bill boost. It's still rather slow, so plan carefully, and proceed to rekt most things in a 1v1. This offers a signicant boost in DPS if you can leverage the faster recycle of the LB10s, but you pay the price in speed. This thing crawls, which means it's best used in conjuction with other slow DPS brawlers. Self-explanatory - this dakka build works well in most situations. It is well-balanced between alpha, range, and DPS. This will burst harder than quad UAC2, but it is hotter, slower, and limited in range. This is the preferred option in the current burst-meta. While UAC2s have a fairly long optimum range, this build is best used in more of a mid-range role. It's not an awful option for hot maps, but it it's not a terribly cold build either. Rely outputting your damage in bursts as your heat allows, using cover as necessary.